As the UK's No.1 supplier of branded corkscrews & personalised wine bottle openers for promotional giveaways, trade shows, corporate gifting or to simply smarten your brand identity, we offer a wide range of well known brands like Waiter's Friend, Gulliver, Syncro and Pull Taps. Print any style with your company name and logo, and in just 4 weeks, every time they enjoy a bottle, your business will be at the forefront of their mind. Our standard print colours are available without an extra charge; black, white, brown, gold and silver. All other colours are charged at £10 per colour. Printing Costs do not count towards discounts or free delivery. 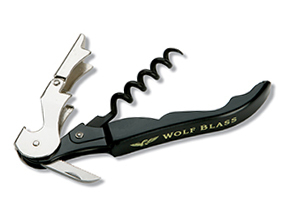 Great value, plastic handled corkscrew with nickel plated metal parts. Extra long worm and serrated foil blade as standard. Optional cap lifter available (not shown) at extra cost of per unit. Manufactured in Italy. 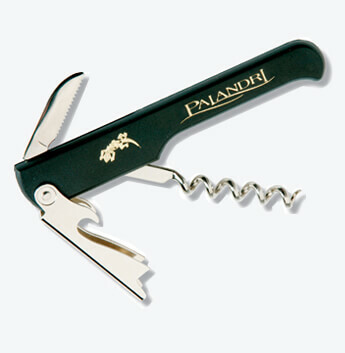 Patented double action mechanism allows cork to be effortlessly removed in one single action. The unique one piece body is made from a strong nylon and fibre mix so no metal backbone is required .The body is shaped to fit the hand and results in a lightweight but very tactile corkscrew. Manufactured in Italy. 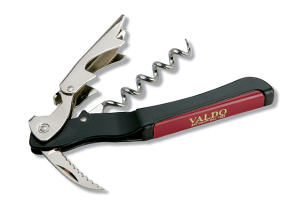 Italian two stage corkscrew designed to compete with the excellent Pulltaps basic corkscrew. Design improvements allow the Gulliver more leverage during cork removal resulting in a very smooth cork extraction. 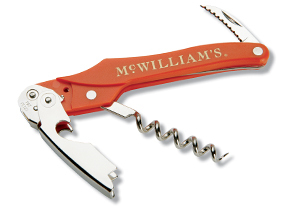 Whilst the corkscrew is only available in black, the coloured plastic inserts in the handle offer high visibility personalisation and are available in the colours shown below. Manufactured in Italy. 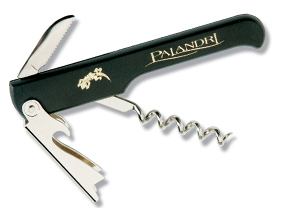 Choose a corkscrew from our extensive range including popular makes like Waiter's Friends, Gulliver and Syncro. Once approved, your product will be over-printed and delivered within 4 weeks.